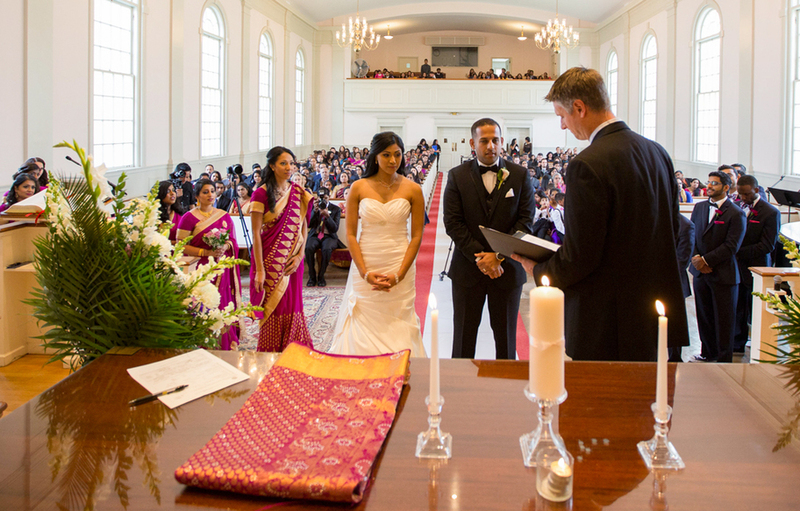 A wedding ceremony in the sanctuary. Our 350-seat Georgian Colonial sanctuary is available for weddings and other uses, including special events, meetings and classes. This gracious, recently refurbished mansion is perfect for small gatherings. The house offers over 2,600 square feet of space on the first floor—including lobby, living and dining rooms, sunroom, and a large kitchen. There are two additional breakout rooms in the basement. Looking for a place to host your outdoor event? A large, level field extends behind Wilson House and is the perfect location for an event tent. The parking lot, which includes 130 spaces, can be rented separately, e.g., when film crews are shooting in the area, or for overflow parking from other events. Contact Lucia Gold at 914.949.5207 or fbcwp@optonline.net.